Hi and welcome! 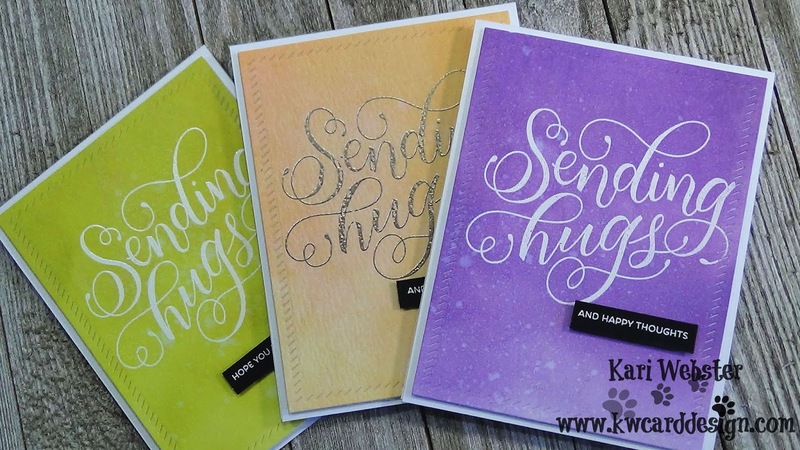 Today I wanted to share 3 cards that I created using just 1 stamp set. 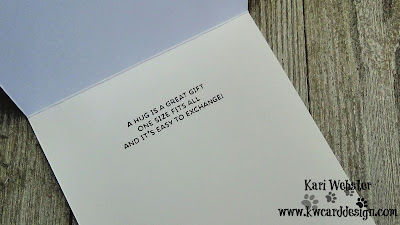 I love the new one from Mama Elephant called Sending Hugs! 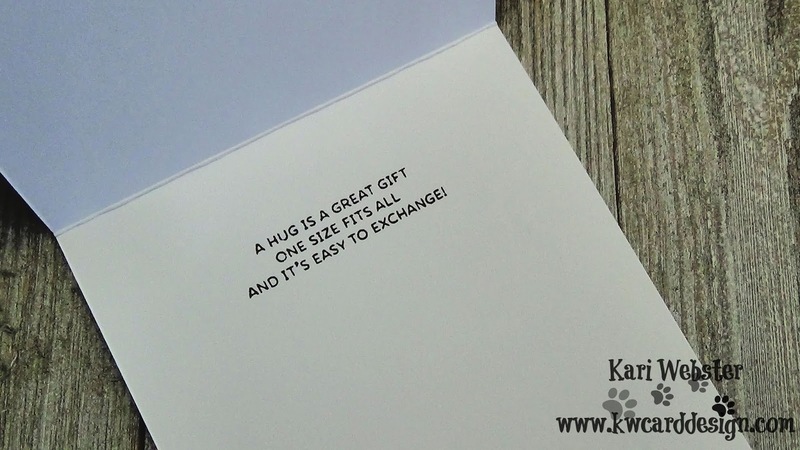 I feel it will quickly become a staple for me sending those everyday cards to friends and family! I used one of my favorite techniques, embossed resist with Distress Ink ( or Oxide Inks ). I also created these cards in an assembly line style to make the process a bit faster. I started out by prepping my distress watercolor card stock panels with my anti static powder bag. 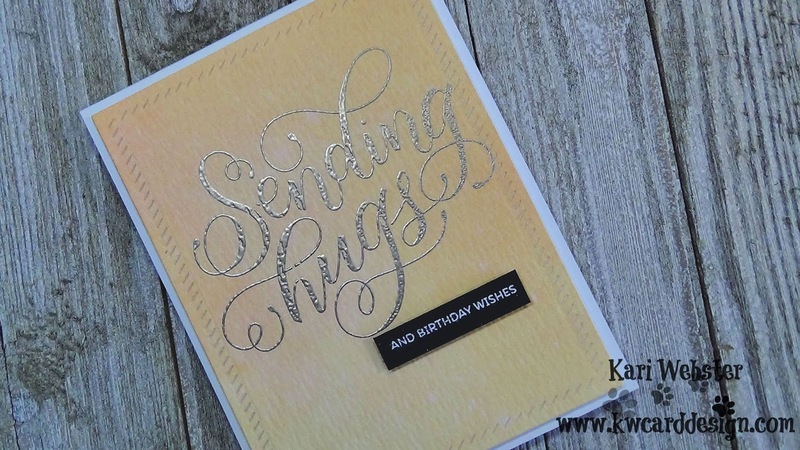 Of course I used my MISTI stamping tool to stamp down my Sending Hugs sentiment as it is a bigger stamp. Once I had all three panels stamp, I covered them with either white embossing powder or I also used Ranger's Liquid Platinum for something a bit different. 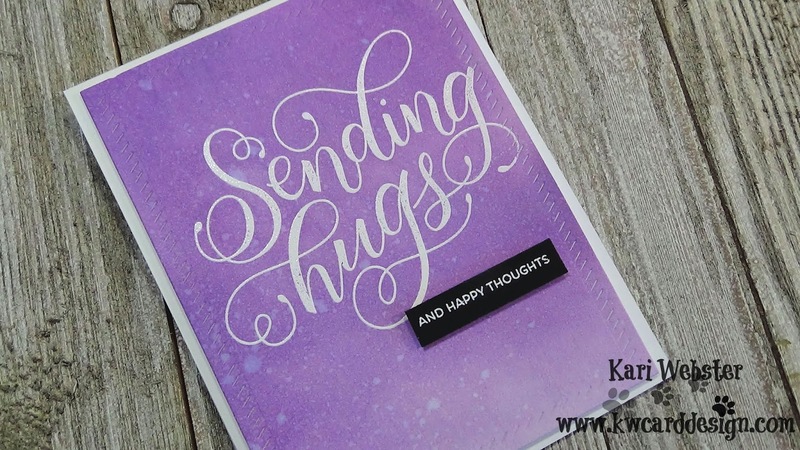 Once I melted all of the embossing powder with my heat tool, I started the inking with my Distress Oxide inks. I used Crushed Olive, Dried Marigold, and Dusty Concord. Once all of the panels were inked, I used my spritz water bottle, and added some water droplets to add a bit of texture to the backgrounds. I used my heat tool to heat set them once again, to make sure they were dry. I then created sub sentiments on black card stock, and also white heat embossed each sentiment. 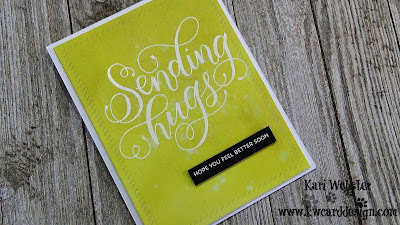 I cut the sentiments down with my paper trimmer and scissors and added foam adhesive to each, and adhered them to my panels. 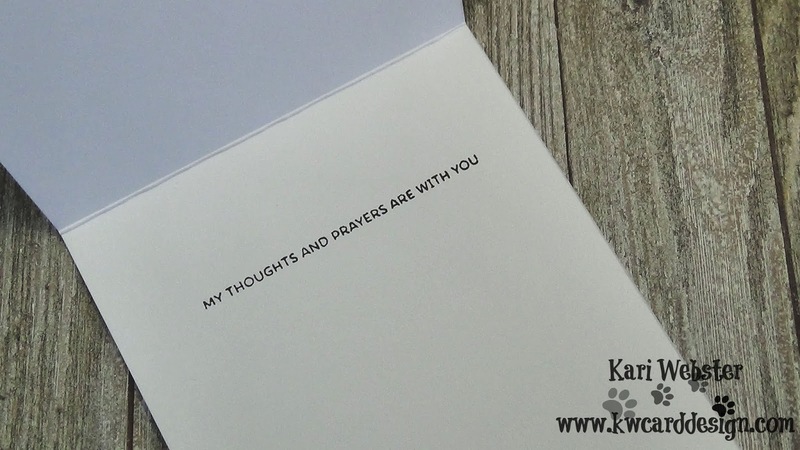 Then, for each card, I added one more sentiment on the inside. 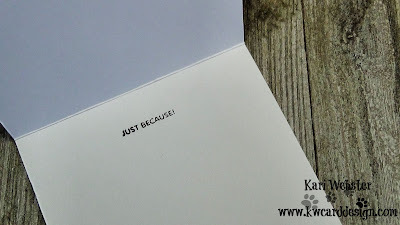 Kari, What die did you use on these 3 cards? I missed it on the video and could not see it listed on your supply list. It looks like border stitches? Love it. It is by Avery Elle called Finished Frames - sorry that I missed that! !